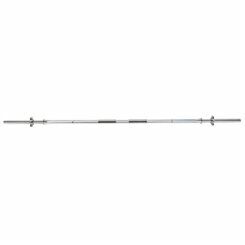 This 5ft standard chrome barbell bar from Viavito comes with spring collars and is made from solid steel for great strength and durability. The chrome finish makes it look great and also helps prevent rusting, and the knurled design ensures better grip so you can lift with confidence. 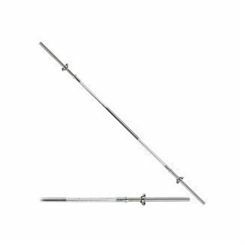 Thanks to its 2-part design, you can store the bar much more conveniently and the Viavito 1 inch spring collars that are included make sure the weight plates are secured onto the bar so lifting is safe. 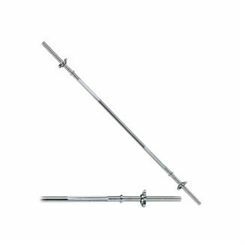 Use the bar, which is compatible with "standard" discs with 1” (25.4mm) diameter holes, for a wide range of strengthening exercises to get your upper body working hard and stronger. 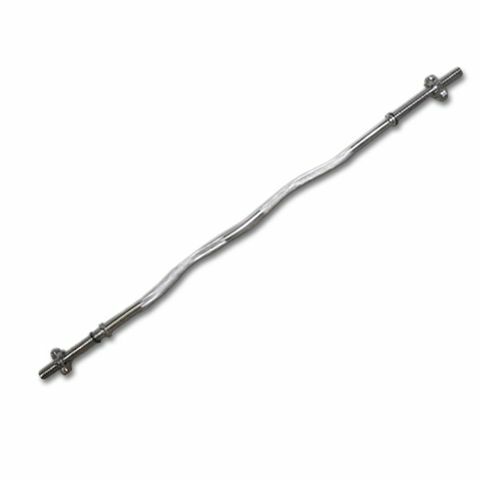 The Marcy Standard EZ curl bar with collars can be used with all Marcy standard weight plates and is great for building mass, strength and definition on your triceps and biceps by performing bicep, hammer curls and tricep extensions. 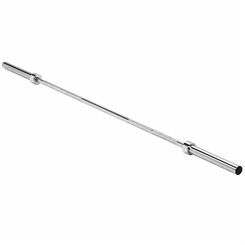 This heavy duty chrome plated bar has a standard size and features a specially angled design to provide flawless form and grip position to increase the efficiency of each repetition, taking the strength-building workouts to the next level. 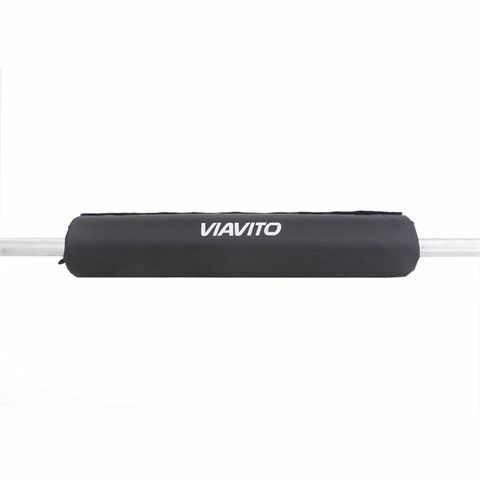 To avoid a real pain in the neck, protect your neck and shoulders when working out using bars with the Viavito protective barbell pad. This protector is made with high-density foam that cushions you, giving you the comfort and protection you need during strength training workouts but is also stiff enough to ensure that it keeps its shape. Thanks to the added comfort you can perform better for longer, making your fitness sessions more efficient and effective. The pad is secured by a strong velcro fastening making it easy to put on and take off without fear of it working loose during your lift. The outer shell is made from tough, sweat resistance Oxford material making it long-lasting and easy to clean. 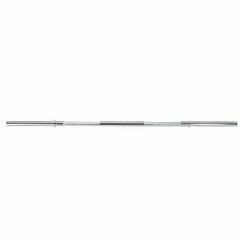 The bar and is 45cm long and is perfect for both Olympic and standard bars. 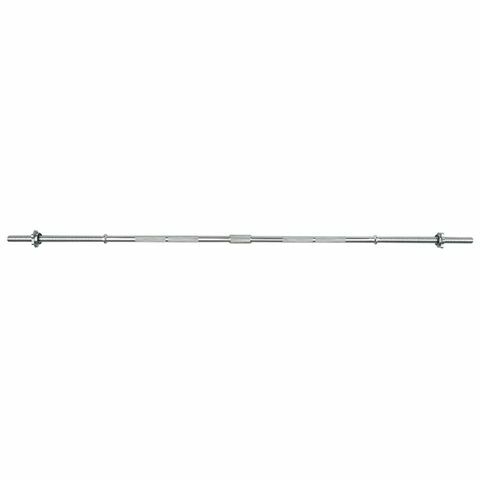 The Viavito 6ft standard chrome barbell bar is a high-quality fitness product made from solid steel with a knurled chrome finish that keeps it looking fantastic and prevent it from rusting. 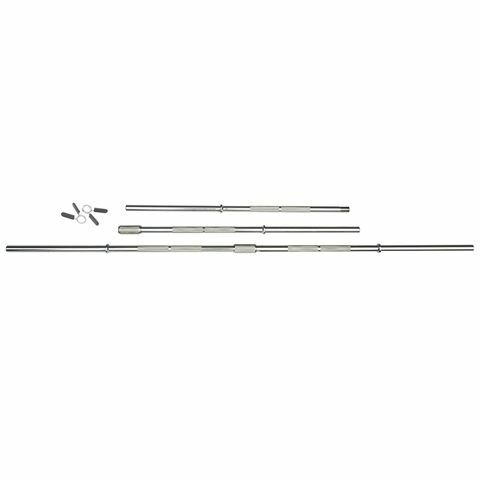 As it comes with spinlock collars which spin freely, loading up, taking off and securing weights couldn’t be easier on this Viavito weightlifting bar. What’s more, it comes as two pieces which you join together with a very simple and strong locking system. This means storing it between uses it much easier and more space efficient. 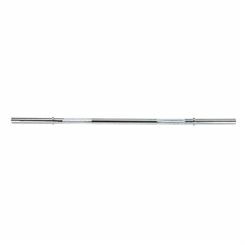 It is made for use with all 'standard' 1" (24.4cm) weight plates and is a top-quality piece of fitness equipment. 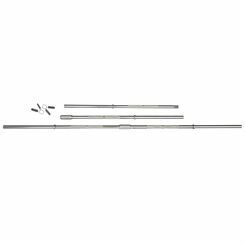 Barbells can be used with plates of different weights to help you adjust training to your personal capabilities and needs. They have a positive influence on your posture and are great exercise tools to build strength within the body, develop muscles, endurance, coordination or simply burn fat.. 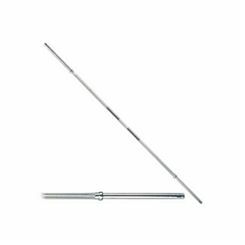 They enable you to exercise muscles in the arms, shoulders, chest, back or legs. The benefits of the workout with barbells are the same as those offered by modern weight machines, so they are a perfect choice for anyone seriously thinking about building a strong body.